Indigenous activists and human rights campaigners around the world yesterday celebrated Brazil’s Supreme Court ruling unanimously in favor of indigenous land rights. 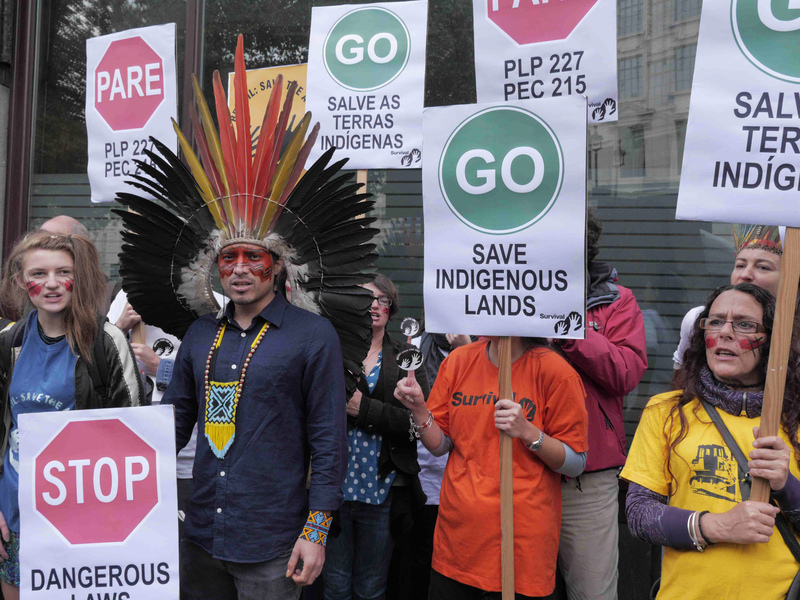 In two land rights cases, all eight of the judges present voted for indigenous land rights and against the government of Mato Grosso state, in the Amazon, which was demanding compensation for lands mapped out as indigenous territories decades ago. Although ruling on one further case was postponed, this outcome has been seen as a significant victory for indigenous land rights in the country. An international campaign was launched earlier this month after President Temer attempted to have a controversial legal opinion on tribal land recognition adopted as policy. The proposal stated that indigenous peoples who were not occupying their ancestral lands on October 5, 1988, when the country’s current constitution came into force, would no longer have the right to live there. This new proposal was referred to as the “marco temporal” or “time frame” by activists and legal experts. If the judges had accepted this, it would have set indigenous rights in the country back decades, and risked destroying dozens of tribes. The theft of tribal land destroys self-sufficient peoples and their diverse ways of life. It causes disease, destitution and suicide.